Slowing Your Roll | Food and Drink | Style Weekly - Richmond, VA local news, arts, and events. Lower-alcohol beers are the gift that keeps on giving. Scott ELmquist Isley Brewing Co.’s Ruby Red Slipper beer is a low-alcohol, grapefruit session pale ale. You’ve likely noticed the word “session” pop up on beer lists across town, but exactly what does that mean? By definition, any beer that doesn’t exceed 5 percent alcohol by volume — its acronym is ABV — and has a balance of malt and hops that make it highly drinkable qualifies. The rules aren’t hard and fast, but the constants are big flavor and low alcohol. You can enjoy several of these light-bodied libations during the course of a few hours and won’t get completely obliterated. — people handle their booze differently, but it speaks to why anything less than 5 percent is called sessional. Some trace the origin of the style to World War I factory workers in England, who wanted a beer during their lunch — or session — break that wouldn’t get them too buzzed midday. Others connect it to Britain’s pub-centric lifestyle, where lower alcohol content kept folks upright on their stools longer. As of late, there’s been a resurgence in the craft beer market, and Richmond breweries are cranking out some of the best you’ll imbibe. As to variety, Richmond breweries are proving that session beers aren’t boring or predictable. 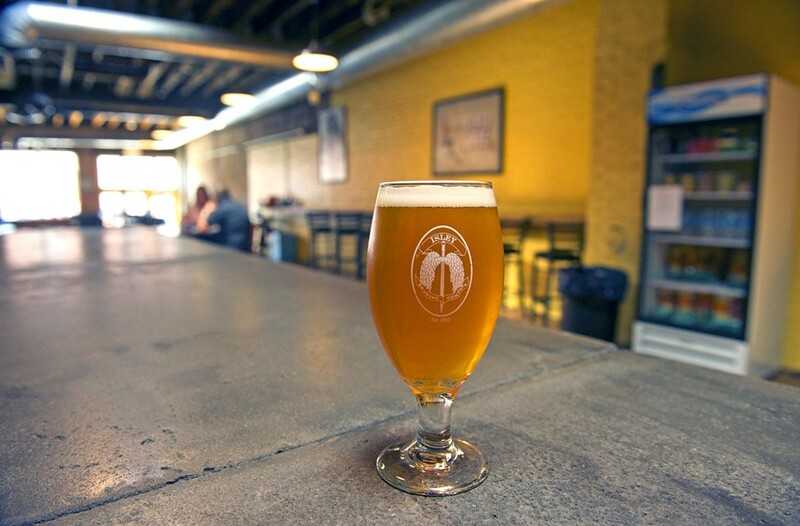 Isley Brewing Co. currently offers Ruby Red Slippers, a grapefruit pale ale, and Strangeways Brewing recently released Wake Me Up Before You Gose, a semi-salty Germanic sour. While crisp and hop-forward, Evelyn American IPA from Hardywood Park Craft Brewery, Chillax from the Answer Brewpub and Lickinghole Creek Craft Brewery’s ’Til Sunset all are distinctive. Local experts say balance is critical to the perfect session beer. Hardywood’s Patrick Murtaugh explains that higher alcohol beers generally use more malt to obtain the increased fermentable sugar levels. As a result, stronger beer usually will offer bolder favors and a more viscous mouth feel. It turns out these beers are full of surprises that make them as complex as their boozier brethren. Some critics have chalked the session beer revival up to nothing more than a trend or seasonal spike, but the local consensus suggests otherwise. “People always want to enjoy a smaller beer,” says Adam Worcester, co-owner of Triple Crossing Brewing Co. “They especially want to enjoy smaller beers after drinking much larger beers.” For that reason, the brewery always keeps one or two on tap.